In an attempt to impose some order on the relatively-fully-featured sequencer market, I’ve begun working up a comparison chart similar to my stereo mixer comparison. I will endeavor to keep this up-to-date. If I can make this more useful, let me know. Corrections and augmentations cheerfully entertained. Not quite sure why the Sequins app in Ornament & Crime has been excluded. Lack of knobs/sliders? But several of the ones included don't have knobs or sliders either. O&C would also be the cheapest sequencer in that list, even as a ready-built module, and cheapest by a long shot if you DIY. Also the second smallest (only Copper Traces is narrower). Great work on this, as usual. Just an FYI that Varigate 8+ has ratcheting. I think "tracks" is a bit ambiguous. Does that mean "channels" or "stored sequences"? Maybe change "tracks" to "channels", "outputs per track" to "outputs per channel", and add a column for "number of stored sequences"? Metropolis has ratcheting as well as repeat. It's nice to see a table like this where they are all on one page, and for purchasing a first sequencer it may be enough. However, more detail could be added. Things like support for din sync, slide type, max voltage (octave) range, etc. This is a cool idea! I might Twisted Electrons Cells to the bottom section since it's got similar characteristics as the René. Another couple that could be added to the bottom section that aren't quite sequencers but designed more around interesting arp creation are the Bastl Popcorn and the WMD Arpitecht. can teletype work without a monome? Absolutely. In fact, a monome cannot even hookup directly to a teletype. I don't have a monome but a teletype + telelxi expander. I bought them to control the e370 I have on order and it has been a revelation. I'm going to get an ansible too, not for a monome but it provides a 4 voice midi to cv interface in addition to being a teletype output expander. And then perhaps one more column for Meta Sequencing? Also I like your categorization of the UI-styles. Good idea for a quick overview. How about the sequencer's relationship with pitch? Nice work! Thanks. You might add the Social Entropy Engine to the external list. Also, the Fluxus One has a modulation output, arps are only one of the modulation options. It'll also output LFOs and envelopes. Of course there’s really no standard terminology to follow. “Tracks” is pretty common, and seems no worse than the other suggestions. Metropolis has ratcheting as well as repeat. It didn’t used to, but I see they recently added that feature! Will update. It's nice to see a table like this where they are all on one page, and for purchasing a first sequencer it may be enough. However, more detail could be added. Things like support for din sync, slide type, max voltage (octave) range, etc. Thanks. I’ll see what I can do. I’m going to just take your word on Teletype and add it. Everyone seems a little confused. (Monome is a company, not a product. And they’re a damned confusing company, too. Brilliant, perhaps, but confusing.) Anyway, they offer the Grid and Arc controllers. My impression is that the White Whale, Earthsea and Meadowphysics modules are all discontinued, replaced with Ansible. I may be mistaken, but as far as I can tell, the 155 only supports gates that are the duration of the entire step. I suppose that’s a bit arbitrary (does the DU-SEQ really do “better”?) Will ponder. I’ll see what I can do, although some of these are probably too specific or can’t really be compared reasonably. All these sequencers support quantization except where noted. I’ll try to add something about microtonal support, though—that’s a good one. I’m not sure either, but I’ll study it. René doesn’t really meet the requirements because it doesn’t quite support gate sequencing in conjunction with CV sequencing. It has gate processing/filtering features, but can’t actually generate a gate by itself. I’m almost splitting hairs here, I know, but I also know René very well at this point—it’s been my primary sequencer for a couple years now. Great work, but what about hex-inverter orbitals? And xaoc moskwa? Maybe "tracks/channels" to distinguish it from "tracks/songs"? Anyway, Sequins in O&C can store 4 sets of sequences which can then be chained in various ways to provide a sequence of up to 64 steps - so 64 rather than 16 steps is probably more accurate. By "store" I mean the sequences are saved to the flash memory on the module and thus persist after turning the power off and back on again. In typical analog fashion, the A-155 gate lengths are exactly the same as the pulse length of the incoming clock. So you can vary the gate length by changing the pulse width of the incoming clock. The Eloquencer has repeats as well (as a "step mode"). The verbos voltage multistage has independent gate length and pitch cv. Plus slew per step. And some other cool features. Orbitals is discontinued. I’ve added Moskwa, with some misgivings. Moskwa straddles the line between a “heavy duty sequencer” and a utility sequencer (of which there are zillions). I am worried about scope creep. But for now, it’s there. I’ve clarified the table somewhat and will continue to try to tighten it. It’s going to take a lot of work before the thing really stabilizes. Yes, this table can never be more than a starting point. I’ve even added a caveat at the top regarding that. Yeah, I know. I’ve added the A-155 for now, but with some misgivings. We’ll see how it wears. I’ve added the multistage, but with misgivings. I felt doing so also obliged me to add the Control Forge. This may, in turn, oblige me to add René and god knows what else in the future. I don’t mind if it’s constructive. I know you are focusing "inrack" but this is starting to intrigue me.. Thanks. I understand the issue of scope creep. Pity Orbitals is no more. It was a brilliant sequencer for a reasonable price. Significant update to the comparison, today! Most importantly, I added a new column to attempt to characterize and classify the gate-handling features/philosophy of each sequencer. Also went ahead and added Rene, Popcorn and the Mattson sq816. Corrections and constructive suggestions highly welcome! Could particularly use help from a Teletype user on filling in the blanks. For teletype you can put 'any/64+'. It can act as a tracker and you can use as many or as few of the steps. You can also have unlimited steps if you calculate them algorithmically on each clock/trigger. As for gate length, I would just put "variable". You can literally assign the gate length in milliseconds for each step, base it off the bpm, or you can do something like define it as a percentage of the incoming clock and scale it with the parameter knob. It is stupidly flexible. fwiw, your impression is consistent with my own findings after doing some additional digging over on the monome lines forum... one odd thing there is that ansible has no pots, so it's an incomplete replacement for the others. thanks for doing all the great work on this list! Thanks. I’ve updated the table. Went with “programmable”. You’re welcome.  My guess is Monome wanted Ansible to be more open-ended than the original trio of modules were, which meant making it a “dumb” i/o interface and program host, and shifting the interactive burden entirely to the Grid or Arc. Thank you very much for this, am having an incredibly hard time deciding on a new sequencer, this is helpful and informative. For Sequins in O&C, there is currently gate on/off per step as well as global gate width. This thread / link / something is totally worth a sticky. mirth23 — I should hope so! Updated the comparison, today, with new info on the FLXS1, and added the 1010Music Toolbox and upcoming Squarp Hermod. Perhaps I missed it, but the MidiBox should be on there! Not Euro per se, but I 'hacked' mine to fit right in. Capable of driving 8 X CV + gate, 8 clocks and up to 128 individual gates. It's DIY only, 16 track simultaneously and tons of modulation on the midi-level. I don’t believe I was aware of this (obviously venerable) project. Pretty high barrier of entry, but looks cool. Added to the list of external alternatives. When I began this sequencer comparison, I had recently given up on my ER-101/102. I’d had Orthogonal Devices’ superb (it is superb!) sequencer for some time and had been moderately productive with it, but over the previous year, I had found myself favoring René and Brains and had even picked up an 8S (another basic 8-step sequencer). I’d gotten to the point where the ER-101 was the option of last resort, and that’s when I realized it was time for it to go. I also had a Control Forge, which was a unique and intriguing tool, but I saw it (and still see it) as a different kind of critter. Still, the notion lived on that there was a powerful multi-track melody+gate sequencer that would be the ideal heart of my system—I just had to find the one. Hence, I began this comparison and an effort to better understand them. It was easy for me to rule out modules like the Stillson Hammer Mk2, because, while the sliders are visual, they often “lie” (their physical position often does not reflect the actual value). However, I was quickly seduced by the Eloquencer. It has a visual x0x grid, step editing looked certainly no harder than the ER-101, and there were so many obviously good ideas, such as the probability features. And eight tracks!!! I eventually had the opportunity to grab an Eloquencer (it’s so scarce that buying was the only way to try it), only to sell it mere weeks later. This was not the Eloquencer’s fault. The Eloquencer is an awesome sequencer, and it’s going to get even more awesome in coming months. The problem was my own faulty assumptions. The Eloquencer sort of addressed the things I had identified I didn’t like about the ER-101, but it didn’t address the unidentified problem that was lurking behind it all. These “super sequencers” are little worlds unto themselves. That’s a fact of being compact (miniaturized) and dense (feature-rich). These devices really dictate their own process—it’s inherent in their design. When you’re working with these devices, you’re no longer patching: you’re programming a digital box. These sequencers take me out of my patch process and force me to switch my mode of thinking. They disrupt my process. Process is everything in modular synthesis, and we each have our own. What I’ve learned is that these super sequencers aren’t for me, and why that is. So: success! For my own use, I will now focus on classic-style sequencers (some of which are in the comparison). I will also maintain the comparison and keep it up-to-date, because it’s intellectually fascinating! Meanwhile, good luck on your own quest. Thanks for all of the work you've done on this, mdoudoroff, it has helped me develop my own thinking about sequencing, which is definitely an ongoing (and immature) process. I've personally gone from a BSP, which felt a little too much like not working directly with my system to me, to a Metropolis, which has some really nice qualities but is overkill for some of what I want to do and then seems like too little for other things I want it to do, and more recently to a FLXS1. Like the Eloquencer, the FLXS1 is its own world as far as process is concerned, but I'm finding that it seems to jive with the way that I think about things. The CV ins also allow for a lot of opportunities to use single channels in the FLXS1 like more traditional modular sequencers, and I'm finding it a go-to tool for simple things while I dig through the more complex features. It was easy for me to rule out modules like the Stillson Hammer Mk2, because, while the sliders are visual, they often “lie” (their physical position often does not reflect the actual value). This is always a surprising UX decision when I encounter it. It's generally a show stopper for me because I hate having to figure out where things really are if there isn't a visual indicator for them. I've been willing to make an exception for that with a Voltage Block, but I use that more as a modulation sequencer than as a pitch sequencer so I tend to care a little bit less about whether or not the slider is lying to me. With this in mind, I'm surprised that we haven't seen more multi-channel sequencers in Eurorack that give honest information on the input devices. Circadian Rhythms might be the only example that I can think of offhand, and that's more of a trigger sequencer. The Tetrapad, while not a sequencer per se, is a step in the right direction since it can change modes and show what the sliders are set at in each mode. I'd love to see a sequencer based around knobs with indicators like the ones on the Midi Fighter Twister. That seems like a fairly straightforward approach to this problem. Neat thread here. I am currently using a BSP myself, because it is just so damned powerful for what it is (and what it costs). Besides my main mixer and a slew of fx pedals, it is currently the only gear that isn't 'in the rack'. I keep going back and forth on whether to ditch it and get a skiff's worth of sequencers and controllers or to just stay the course. Cool idea! Love condensed information posts where a lot of info can be viewed at the same time. The more time I spend with the SH2, the more it becomes this module that spits out 4-semi-random CV's that can be selfpatched/transposed in no time. The lack of visual feedback doesn't bother me at all but I will readily admit I don't use it as a classic sequencer (progressively building tracks). I wish I could grow a third brain hemisphere just for the Verbos Multistage. If there's one module in euroland I'd like to know inside-out, it's the VMS with its individual step-outs, its strobe-functionality etc. I hope to find some spots with the VMS between the very basic sequencing it's so good at (but for which 8 steps just don't do it for me) and the over the top chaos that generally ensues when I start using strobe. Lovely as they are, these aren’t pitch + gate sequencers. Thanks a lot for this awesome list! I really appreciate the time and effort you've put into this mdoudoroff. In the past I've been sequencing my eurorack through a MIDI to CV converter module and only now I've been looking into sequencer modules. (NOTE: I've been looking into only the ones that are under 600 euros) And I gotta say I am surprised how limited a lot of these are concerning CV control. I understand that a lot of the sound/music people want to create with their euroracks is well served by these sequencers, but still. The user has to make so many choices before or during playing, instead of using random, LFOs or such to help make decisions. Basically the clock seems to be the only thing you can really play around with, and i've read that some of the sequencers dont react well to irregular clocks. Ratcheting, for example, seems to be a thing that could potentially be controlled with CV. It seems so weird that people are happy with manually choosing which step repeats and how many times. Du-Seq at least has that "external gates" selection, which is probably the reason I'm going to test it first. 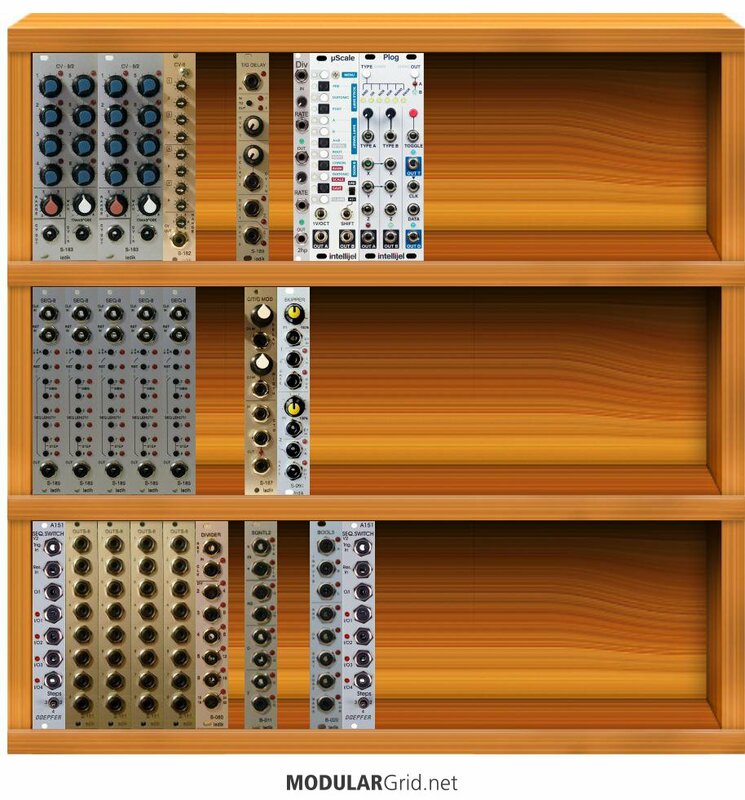 It will be interesting if Intellijel ever release a Metropolis mk2. What I’ve learned is that these super sequencers aren’t for me, and why that is. Thanks for exactly describing my problem with "super sequencers"! I believe the solution for me could be the very modular approach of the Ladik sequencer offering around the S-180. With the individual trigger outs and some logic it seems very flexible without forcing you to leave the patching mindset. there are 3 8-steppers each with CV and trigger expansions. The A-152 can adress them sequencially. The fun begins in patching the individual outs to clock another s-180, or to trigger the burst and take that as a clock for another seq. Use one CV sequence to cv a 2hp clock divider driving another Seq. So logic and Clocks are much more flexible and patchable and can act "between" the channels, not only on top of it. A big +1 for the Ladik 180 series of sequencer tools. Want more voltage outputs, add another set of output pots. (S-182, S-183 or S-184). I use the mini sequencers (S-141, S-142 or S-143) to add transposition to the S-180 series. I could fill a whole rack with these, I mean I did fill a whole rack. I realize that this may not fit under the heading "Heavy Duty" but it seems that you can build a custom heavy duty sequencer out of modules here. Two recent—and rather impressive—demo videos for Hermod. Added René 2 to the comparison! I started first with the Rene, then the er101/102 combo and now the teletype. However i do not that if i had that sequencer instead, i would eventually find it too static and pattern-y for a lack of a better term. p.s which sequencer did you settle for? I think you could add the Kilpatrick Audio pattern sequencer and definitely Carbon somewhere down in the 'external' or 'alternatives' lists. Carbon has CV/Gate outputs and is basically a pattern sequencer rather than a linear MIDI sequencer. I kept my René and added a Koma Komplex. (I have owned, but rejected, the ER-101/102, Control Forge, and Eloquencer.) i have some curiosity about the Teletype, but haven’t gone there yet. I’ll definitely add Carbon. The Pattern Sequencer module seems like a cool trigger sequencer, but unless I’m overlooking something, feels out of bounds for this comparison. However, I just noticed that Kilpatrick does offer the K2579 Step Sequencer. Somehow, I had missed that in the past. Maybe add the Tetra Maps sequencer made by Signal Arts? The Pattern Sequencer module seems like a cool trigger sequencer, but unless I’m overlooking something, feels out of bounds for this comparison. However, I just noticed that Kilpatrick does offer the K2579 Step Sequencer. Somehow, I had missed that in the past. That's the one I meant - had the wrong name. On further research, seems to be no longer available. This is a fantastic list that you have been upgrading. Many thanks for your efforts on our behalf! I'd like to add the GRP R24 for your EXTERNAL sequencer list. This sequencer is like the DarkTime by Doepfer but larger, more expressive, and has more input and output control. I use it in many of my patches. Great and useful comparison. What about the Klee? Might not have all the features the other does but it has a lot of unique features. This is a lovely resource. A note on the Hermod: it does have a per-track ratcheting/arpeggiation effects.